As far as the master bus goes I wasn’t trying to do anything overkill. I still needed to fuse the vocals and beat together and also needed to bring up the overall level of volume to compete with other records. With the automation there were a couple of issues in the vocals that needed to be fixed. 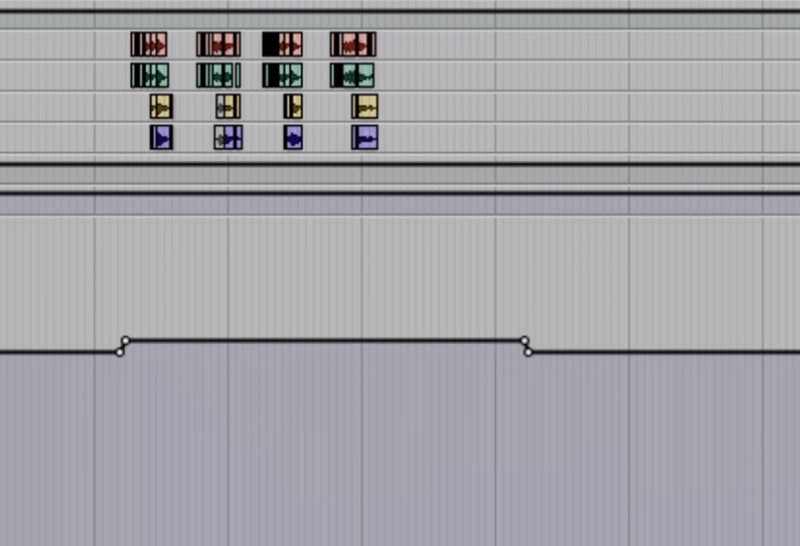 Also I wanted to get a bit more volume from the chorus compared to the verses and this is where automation came in. 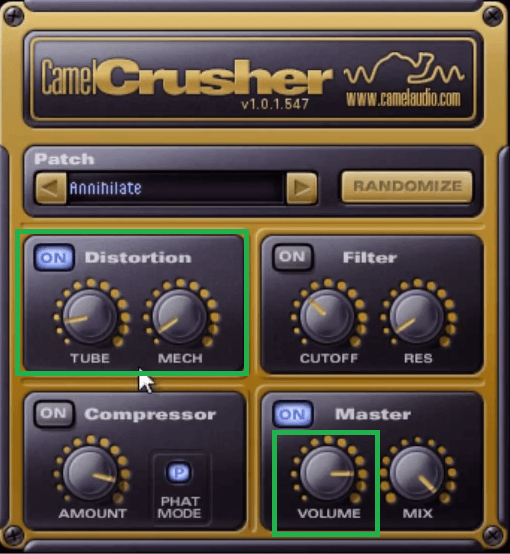 The CamelCrusher is a great plugin for adding subtle distortion to bring out those nice harmonics. The track was fairly dark overall and instead of going for an EQ, I decided that using a bit of distortion would get the presence I wanted while also adding energy at the same time. For whatever reason EQ just couldn’t come close. I also think its worth noting that I usually don’t wait until the end of the mix to add my Master Bus Processing. I always start with nothing on and than I will add it about 60-70% of the way through. 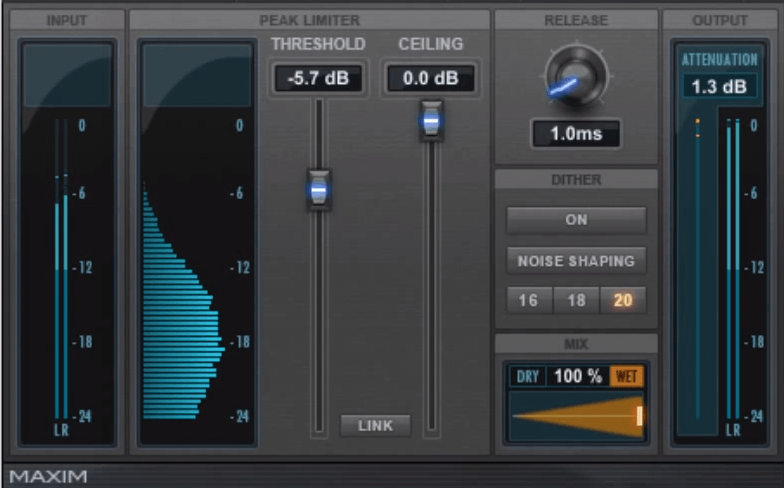 I only really ever use 3 settings on this plugin: TUBE, MECH and Volume. I’ll occasionally play with the mix knob if I want a different effect. 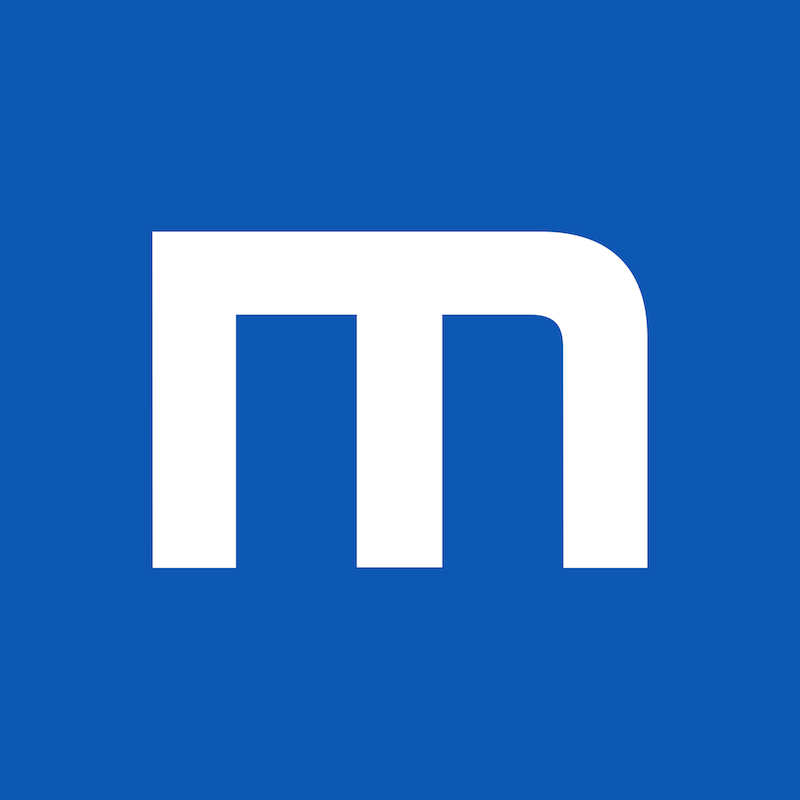 MECH – I compare this one to like a high shelf filter. This one tends to add upper range harmonics/distortion. I only added like 2-3% here. 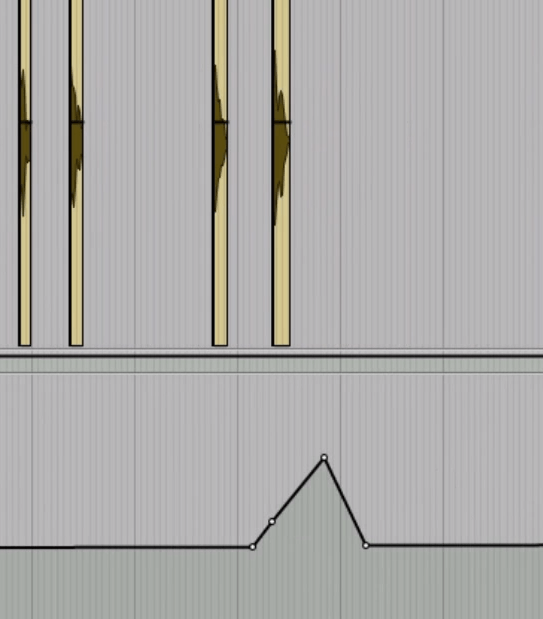 Volume – I just adjusted it so the signal was the same volume when I bypassed the plugin. This would give me a better comparison to the mix before and after. When it comes to EQ on the master bus its very rare for me to do anything dramatic. Most of the time its corrective but if I do boost its by a very small amount. In this case it was all corrective and not very much of it was used. 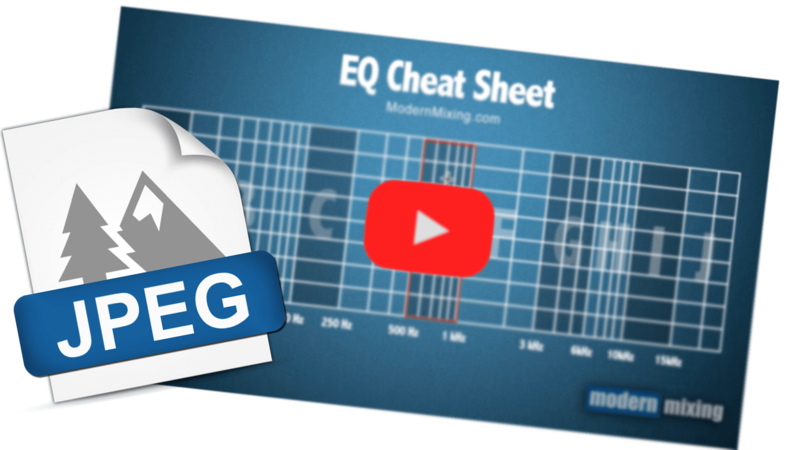 FREQ 2 – I took out -0.6 dB at 400 Hz which helped to open up the track. LP – I set the cut off point to about 17 kHz because I just wasn’t completely happy with the top end. This helped remove some annoying harshness in the high end. 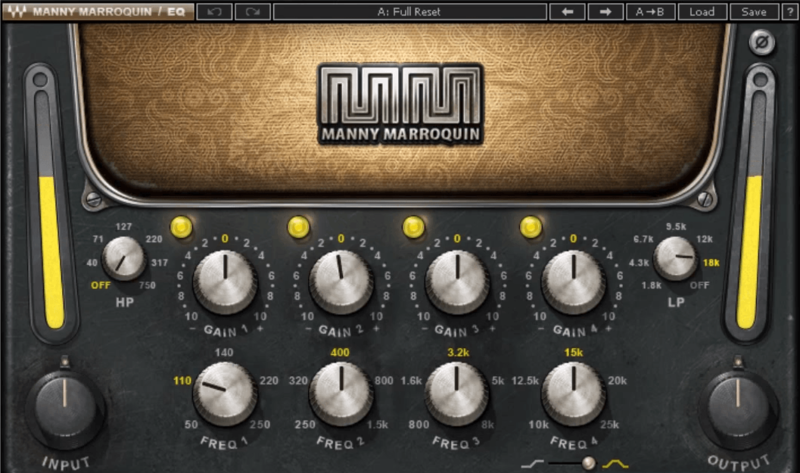 The Final plugin on the Master Channel was the Maxim Limiter. 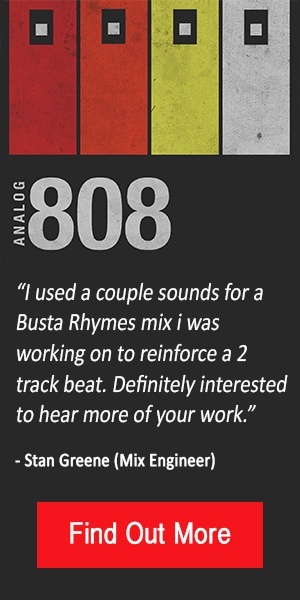 I wasn’t using this plugin to squish the the mix by any means. The goal was to bring up the loudness of the track and knock out maybe a dB or 2. Its purpose was to get the loudest peak to 0 dB but without going over. Threshold – I just set this to the point at which some signal started passing the threshold. Ceiling – Set to 0 dB. I go back and forth between absolute 0 dB and leaving like 0.1 – 0.2 dBof headroom. Some suggest to leave a small space before 0 dB because some electronics can’t handle peaks at 0 dB and distort the signal. I personally haven’t noticed a difference. Release – I set the release as quick as possible so that the limiter wasn’t hanging on to the signal. Just get in and get out, that was the motto on this track. I didn’t wan’t any pumping or manipulation to the sound. There was a couple of parts in the verse vocals that needed some clip gain automation. This first picture shows the beginning of the first verse. It was a bit too urgent sounding so the clip gain was used to pull that part down by about 2 dB. In this second picture I used the clip gain to pull down a couple of “P” sounds. They stuck out way too much compared to the rest of the word so by softening them, they sounded more natural. Just before the first chorus there was a delay on the last word in the verse. The problem was the chorus had a lot of energy that it engulfed the delay entirely. By using some automation I was able to bring the delay up to a volume that matched the intensity of the chorus but didn’t get in its way. So the Mix Bus is where every track is routed to before it goes to the master bus. Since the production was fairly linear I needed to add a bit of gain on the Mix bus whenever the chorus came in. I added about a 1dB boost which made the chorus sound bigger then the verses. So the series has finally come to an end. 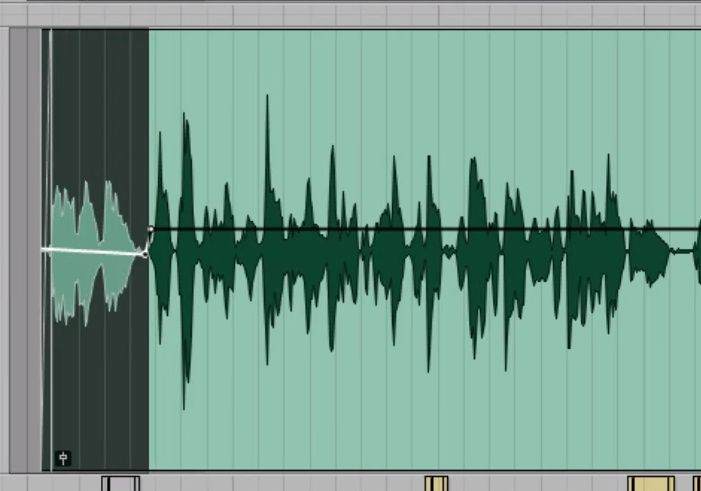 Remember this is one way to approach mixing a vocal into an instrumental as every situation is different. The tactics do change from mix to mix. The idea is to help you understand why certain things were done and then its up to you to interpret that and use it in your mixing practise. Good Luck and be on the look out for more great info.